During the past few decades, China’s economy has been growing spectacularly thanks to the opening up reform to international markets, introduced for the first time by Mr. Deng Xiaoping. In order to comply with the development of the times, China’s legislature continuously attempts to regularize and guide the labor relationship and disputes between employer and employee. On January 1st, 1995, the first Labor Law of the People's Republic of China came into effect. However, this law was not able to ensure the attendance of the needs of rigor and accuracy required to deal with labor related issues in practice. Since 2008, the Labor Contract Law of the People’s Republic of China has been promulgated which aims to further assist employees in protecting their labor rights more effectively. The fact that China is a huge country geographically speaking, allows for one outstanding feature in the labor law structure. It is permitted that local authorities may promulgate their own local regulations and policies, this means that each province/city may have different standards for applying the national laws locally which causes the labor law system to become increasingly more complicated. China’s first version of a Constitution was promulgated in 1954, however there were only three simple articles regarding labor, which were in regard to labor protection. Since then, People’s Republic of China has modified the Constitution several times, nowadays, the latest version of the Constitution is formally promulgated and became effective on March 11th, 2018. This guideline addresses to companies and individuals who are already present in China - or intend to do so - and wish to recruit local or foreign personnel. 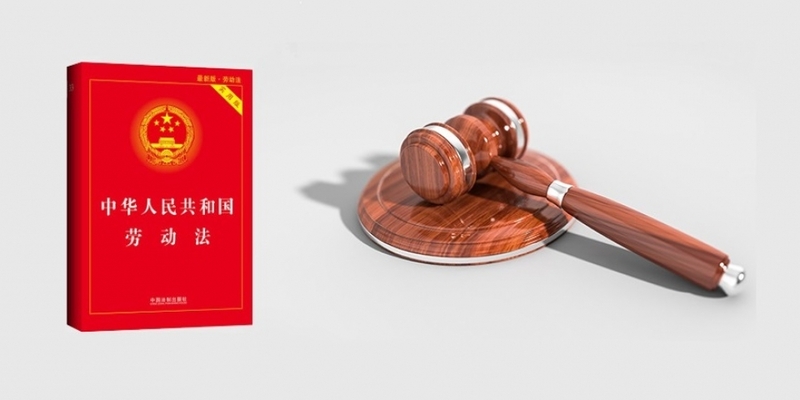 In particular, by tracking a concise but accurate analysis of the Chinese Labor Law, this Practical Guide represents a valid tool to be geared to the complex panorama of Chinese Labor Law regulation, thus allowing economic operators to catch the best opportunities present in China. After obtaining the Bachelor’s Degree in Law at the University of Teramo (Italy) and the Master’s Degree in Corporate Advisory at the LUISS Guido Carli in Rome, then completing a postgraduate course in International Law at the University of Barcelona and studying Mandarin at the University of Nanjing, in 2005 Mr. D’Andrea moved to Shanghai, where he began his career in one of the city’s leading law firms. He has been heading his International Boutique Law & Consulting Firm, D’Andrea & Partners, since 2013. D’Andrea & Partners is specialized in supplying consultancy to European companies that want to do business in China and to Chinese companies which plan to invest in Europe. Besides Italian, which is his mother tongue, Mr. D’Andrea fluently speaks Mandarin, English and Spanish. Mr. D’Andrea is also National Vice Chairman of the European Union Chamber of Commerce in China and Chairman of the Board of the European Union Chamber of Commerce – Shanghai Chapter, since 2017. Bachelor’s Degree in Law at the University of Nanjing, Master's Degree in Corporate Advisory at Roma Tre University (Italy) and Juris Master at the Shanghai Jiao Tong University KoGuan Law School. Mr. Zhi advises European and Chinese clients on various legal matters and business transactions in China and cross-border. His special focus areas are: Foreign Direct Investments, Mergers & Acquisitions, Corporate Restructuring, IPO and Re-Financing, Commercial, Real Estate, Construction, Labor as well as Dispute Resolution. Senior Partner of the International Boutique Law & Consulting Firm D’Andrea & Partners, Mr. Zhi can also count on a long experience in a leading Italian law firm in China, with a portfolio composed of International clients, in addition to serving in public office for a few years, therefore, assisting clients in handling relationships with the governmental offices. Bachelor’s degree in Intellectual Property and Master Degree in Computer Science and Technology, Ms. Jiang works with D’Andrea & Partners in the Shanghai Office. She is specialized in Labor Law, FDI and Arbitration and Litigation.